Because the first year just goes way too fast! Trish's personal goal is to create images that not only document your child's fleeting stages, but to speak to you from the heart and capture the life, wonder and excitement of your family. Don't miss out on life's treasures. Let's Capture your family's life story together. Our story begins with a belly session (optional). More and more women are embracing the beauty of motherhood by capturing some soft, tasteful and fun maternity images. 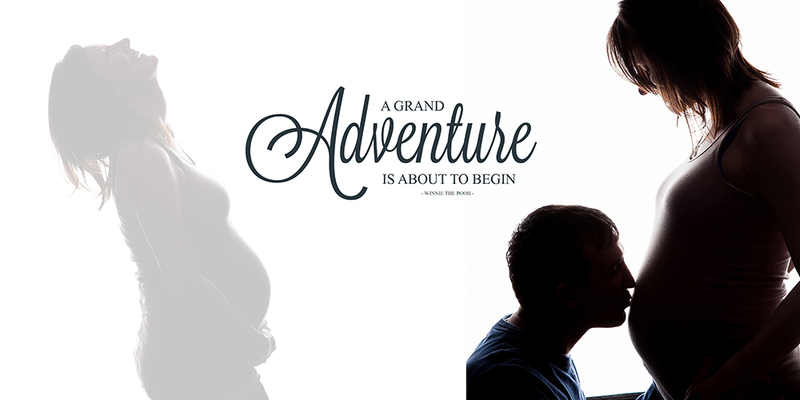 The best time for booking this session is in the 7th or 8th month of pregnancy. We want to capture your belly at it's fullest but not cut it too close! We absolutely LOVE photographing newborn babies! Capturing that first week of life is amazing. Be sure to to take advantage of this session. We understand that you'll be tired and may be feeling a bit overwhelmed, but your baby begins to grow so quickly in these early days that it's important to document it now. Since your baby does change we recommend that you come in no later than ten days old. Your baby is starting to become a little person! Complete with a variety of expressions. An Expressions Panel can be a great way to showcase all the cute faces they make. This stage is usually around the 3-4 month mark. We like to see them holding their heads up on their own at this session. Clothing can still be a bid overwhelming on them so keep the neck line of the outfit fairly clean. Avoid collars that might just get in the way. They still look super cute in just their diaper however, so don't over think it. At eight months, your baby should be sitting up with some help or maybe all alone. So big! this is a great age to photograph because babies are beginning to master balance and are able to engage more with their surroundings. We can incorporate more with props at this session. Chapter 5: Happy Birthday To Me! You won't believe how fast a year goes by. Now that your child is standing and possibly walking, life gets much more complicated! For the one-year session, we try to work with sets that are much more interactive. This keeps little ones in on spot for a longer period of time. This is the last session of the Tiny Treasures program. Now that the year is up, we can also create a custom one-year collage or story book album. Read what mom's have to say about the Tiny Treasures Program.